Sunday’s publication of the Intergovernmental Panel on Climate Change’s (IPCC) Summary Report for policy makers on what we know about climate change in the light of the aim of keeping overall warming below +1.5oC was rightly reported by many mainstream media outlets as a polite scientific way of saying, “Act now, idiots!” The idiots, of course, are the politicians who have stood in the way of the necessary changes for decades. Yet whilst BBC Newsnight harped on the same tired old theme of scientists v deniers by inviting a Trump advisor from oil-sponsored Competitive Enterprise Institute to share the view from under the sand, the really big story was universally ignored. Even Bob Ward, whose job (as policy and communications director at the ESRC Centre for Climate Change Economics and Policy at the London School of Economics and Political Science) is to know exactly this kind of stuff, plays dumb in The Guardian today. Ward correctly describes the Summary Report – the bit the politicians might actually read, and the bit that journalists take to be the story – as conservative, and points out some of the content from the full report that didn’t make into the summary. Little details like how higher temperatures lead to mass migration and warfare; like the way climate change might run completely out of human control; like how even the 45% target for emissions reductions in the next 12 years assumes that as yet unknown technologies, at completely unknown costs, will one day soon also be able to take greenhouse gases out of the atmosphere. Ward wonders why “such crucial information” was omitted. “Perhaps the authors felt that there are too many uncertainties in our knowledge to be definitive.” Certainly that’s what a lot of journalists and politicians might assume. But there is a simple reason why such life-or-death content was blocked from what history may judge to be a key document of the 21st century. Politicians didn’t want it there. The summary report is negotiated between political representatives from all over the world. They know exactly what is in the full report, and if they don’t want something in the summary report, it won’t be there. Now, why on this overheating Earth would the politicians of the world not want what science knows about our predicament spelled out in black and white? The excuse they most likely give themselves is the one abusers of power so often fall back on: the public can’t handle the truth. But should any journalist ever bother to do their job and actually ask, and should a political leader ever actually answer, what they won’t say is who is really running the show. As any decent journalist knows, you follow the money: governments worldwide are currently subsidising the fossil fuel industry to the tune of well over $5 trillion a year. A proportion of the profits fund political parties, think tanks and election campaigns through official and other, darker channels. As taxpayers and as energy customers, our cash is being used to prop up the very system that now threatens our chances of making a decent life for ourselves and our children. 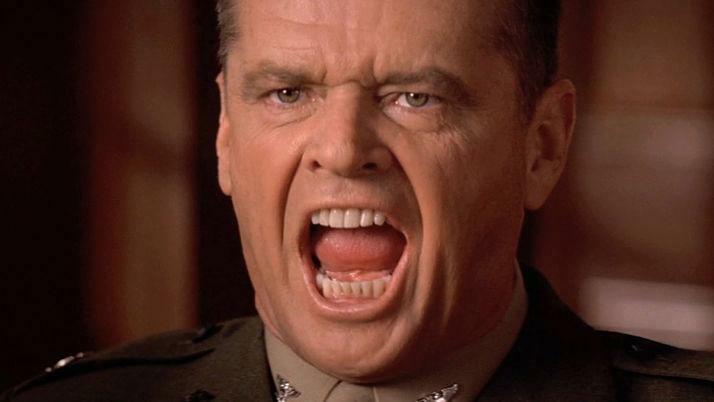 In A Few Good Men , Private William Santiago is murdered in a botched attempt to teach him to obey the chain of command. “You can’t handle the truth” is just the Colonel’s excuse, what he tells himself so he can sleep at night. This is about the chain of command. The people depend on the truth. The scientists find out the truth and report to the politicians. The politicians report to their paymasters, and the paymasters don’t want you to know the truth. It’s time to break the chain of command. Matt Carmichael is a teacher, climate campaigner and dad from Leeds and co-author with Alastair McIntosh of Spiritual Activism.